At The Cabinet Store, we’re avid supporters of regional businesses, so it should come as no surprise that one of our favorite days of the year is Small Business Saturday. Sure, Black Friday sales are great, but we much prefer the day after when the chaos has subsided. In our opinion, it’s the perfect time to knock out your holiday shopping while supporting your community! Here’s why we love supporting local and small businesses and you should too! Small business owners often purchase products and services from other local businesses, service providers, and farms. So, keeping your hard earned money within the community helps local businesses grow, creates jobs for members of the community, and grows the tax base for future community needs. 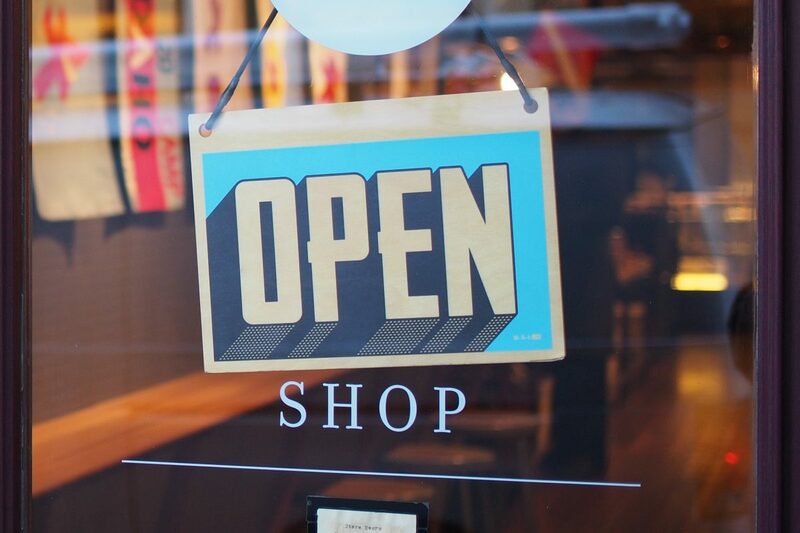 Shopping at local small businesses helps strengthen the bond of a community by allowing shoppers to get to know local business owners, employees, and their neighbors. Each time you step into a local business, you’re greeted by someone who plays a part in the day to day activities of your community. Did you know, local business owners are more likely to donate to local charities and community events than larger corporations? With a personal tie to the community and the people in it, local business owners feel encouraged to invest in the future and well-being of the community. Small businesses often have unique pieces or limited quantities of the items they sell, ensuring customers get a one of a kind experience each time they shop. Plus, a diverse assortment of local shops adds character to the community and creates an inviting atmosphere that draws visitors from neighboring communities. Most small businesses are located in a centralized part of of town, which encourages locals to get out and walk from shop to shop. With less need to drive from store to store, the community’s carbon footprint is reduced. Have you ever heard the phrase, “When you buy from a small business, a real person does a happy dance?” It’s true! Every dollar spent on a purchase from a small business goes toward supporting someone’s dream and helping them achieve their goals. Shopping local isn’t just for Small Business Saturday, though. Supporting local businesses year round can be a fun and rewarding experience! Make a day of it by getting together with friends at your favorite local eatery and then hit the shops!